All Himalayan salt comes from the world’s oldest salt mine in Pakistan’s Punjab province. The area is known as the great Salt Range. According to geologists, the mine was formed when shifting tectonic plates trapped an inland sea that was eventually dehydrated. The salt is what was left behind. 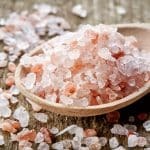 The salt’s most distinctive characteristic is its color, which is pink (why it’s often known as Himalayan pink salt). The pink color is thought to come from the remnants of sea life that existed in the ancient ocean. The tunnels in the mine would be developed in the 19th century. This was due to the efforts of a mining engineer from Britain who came up with a special method for tunneling further into the Salt Range. His technique is still used today. In addition to being the oldest salt mine, it is also the world’s second largest and covers approximately 43 square miles. In the 1930s, an electric railway was installed in the mine for the purpose of carrying salt out, but is now used to bring tourists in to view the salt extraction process. The salt mine continues to be Pakistan’s main source of salt with thousands of tons being extracted yearly. 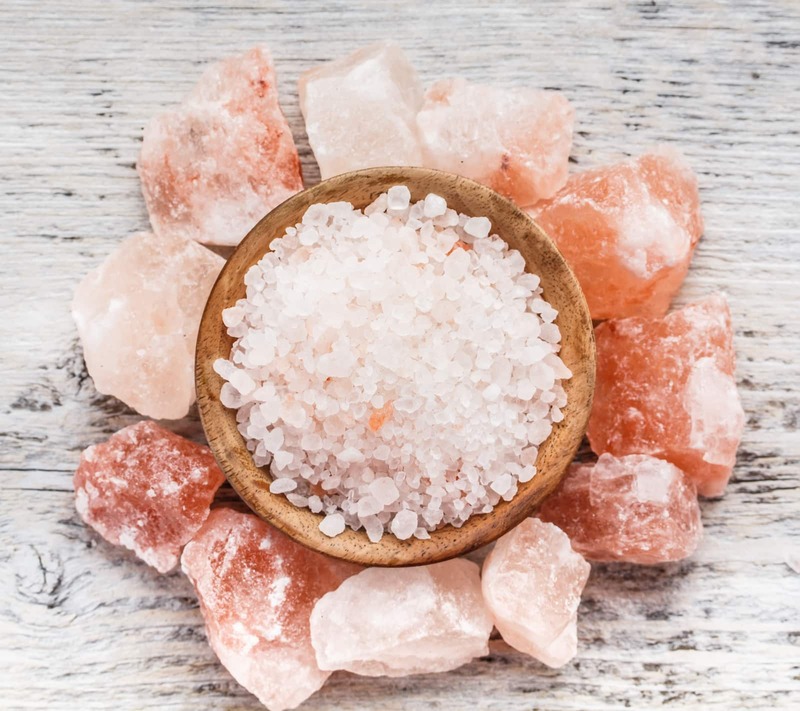 Himalayan salt has been said to have a subtle flavor when compared to sea salt. The milder saltiness makes it ideal for enhancing foods with delicate flavors. It is also said to be less bitter than common table salt. 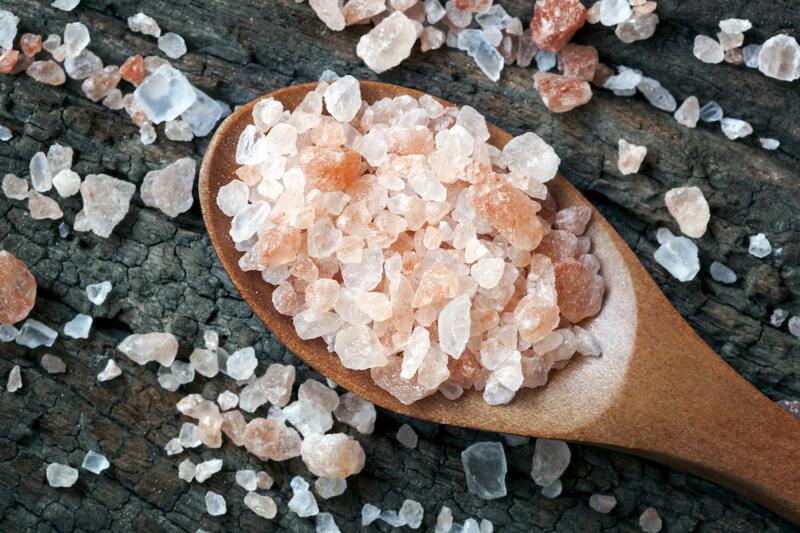 Minerals: While Himalayan salt cannot be considered a good source of minerals, it does contain a large number of them. It contains over 84 different minerals in trace amounts including iron, magnesium and phosphorus. None of these minerals are available from regular table salt. Iron helps to boost the immune system and is important for muscle health. Magnesium helps with constipation and can be used to treat insomnia while phosphorus is needed for good bone and dental health. Sodium: Sodium is the main mineral in Himalayan salt, as you might expect. While it can cause health problems if consumed in excess, sodium actually has a few health benefits. For example, sodium is important for fluid regulation within the body as well as for muscle contraction. No added iodine: While necessary for thyroid health, the iodine added to table salt can be difficult for the body to process. No anti-caking agents: These agents may affect the rate at which the salt is dissolved and absorbed by the body. They may build up and cause illness. High blood pressure: Lowering salt intake can be a factor in reducing high blood pressure. The large crystals of Himalayan salt can help with this since you will be consuming less of it per serving. 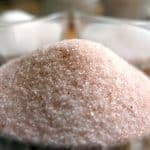 There is more air between its large granules when compared to the finer ones of table salt, so less of the Himalayan salt will fit onto a teaspoon. 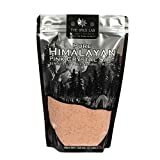 Because of its colorful appearance, Himalayan salt is perfect for use as a finishing salt where it can enhance the flavor of dishes and remain visible. Another popular use is in block form as a tool for cooking steaks. A block of Himalayan salt is heated carefully and the steak is placed atop it and cooked as it would be in a skillet.